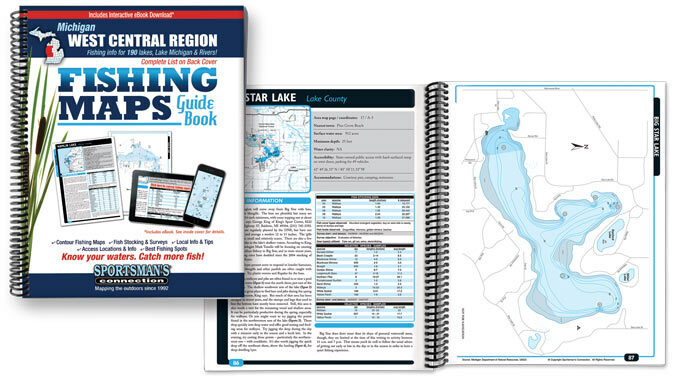 Each of these 7 regional fishing map guide books plus a Best Michigan Lakes Guide includes color contour lake maps, area road maps, stocking and survey data, fishing tips and marked fishing spots. 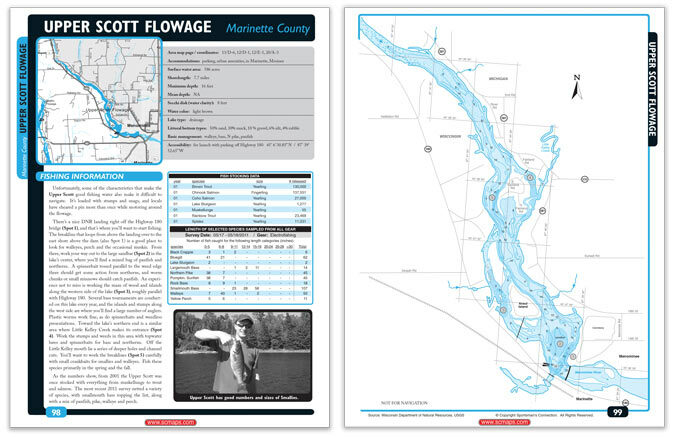 130 to 250+ Michigan lake maps in each volume for only $24.95 each! Order now and receive the new interactive ebook absolutely free! 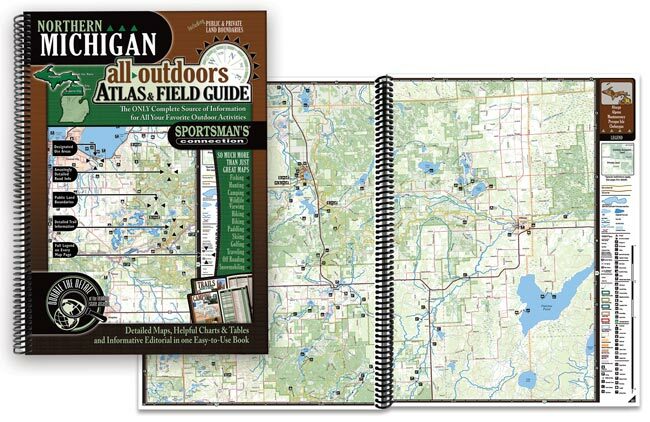 Two regional all-outdoors atlases which include lake and stream fishing info, public hunting areas, campgrounds, hiking, biking and equestrian trails, snowmobile and atv trails, canoeing routes, downhill slopes and cross-country skiing trails, golf courses, sightseeing spots and more! 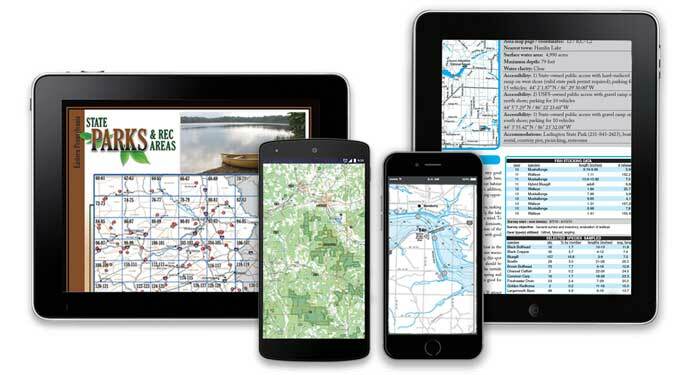 Twice the detail as other leading atlases for just $29.95 each including a free eBook Edition! 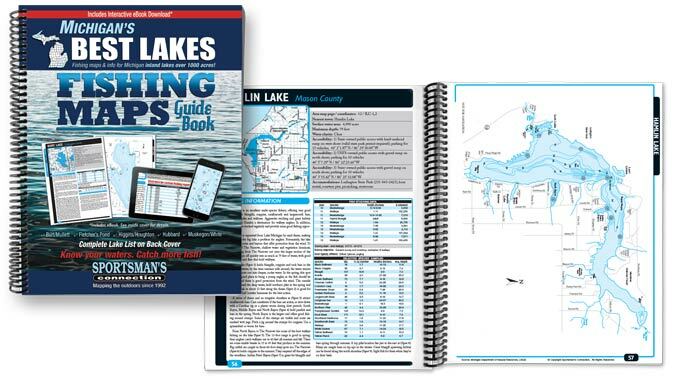 Michigan's biggest and best lakes come together in one brand new volume featuring over 90 lakes of about 1,000 acres or larger with tips and tactics from experienced locals, stocking and survey data, contour lake maps and much more!